R.I.P. Robbie my beautiful friend. Please consider adding a note to Robbie’s Obituary. Click here to read or add your own note. 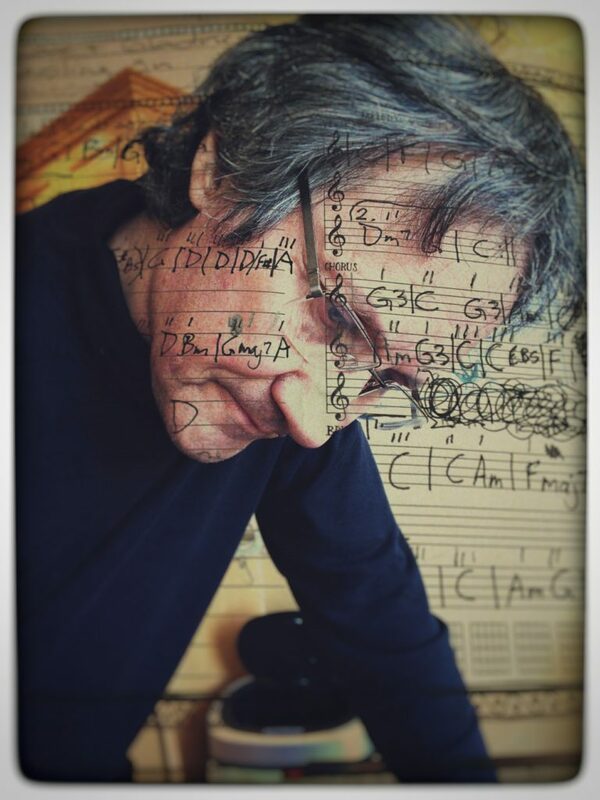 Now our job is to keep those songs going – won’t you join me? PLEASE keep on Singing the Winter Away! With heavy hearts we let you know that Robbie – the brains, the music, the lyrics, THE everything that started this duo has been diagnosed with stage four incurable cancer. We are side by side throughout the whirlwind of this very sudden news. Jan 10 would have been the first of 26 shows that would have taken us all the way down the eastern seaboard into FL and back up again. However, we are where we need to be right now and the loving notes have been pouring in. You can’t live without love and you can’t live without music. So play a Robbie song, donate as you are able, or buy a CD – thanks for doing your part. 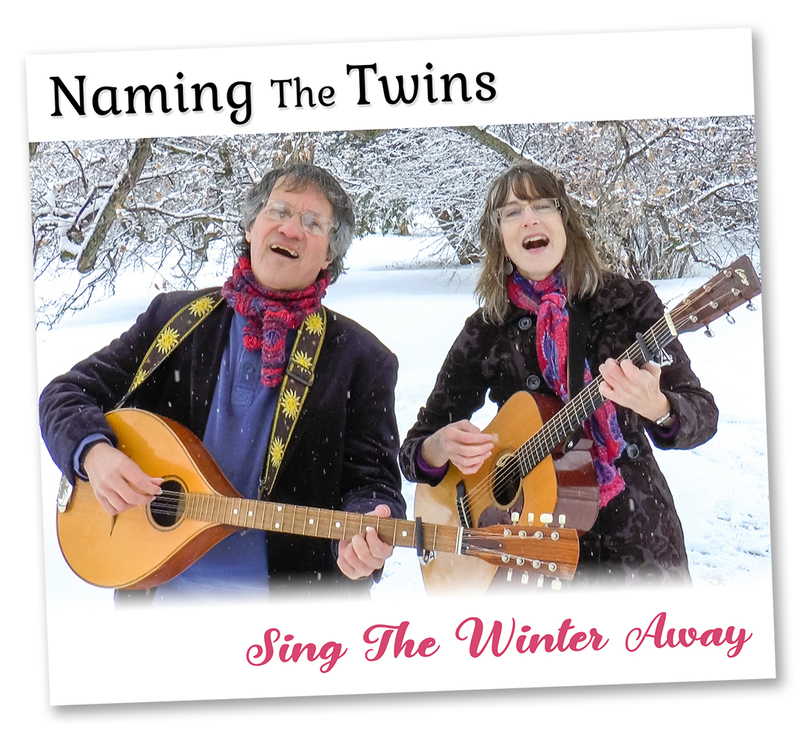 Naming the Twins is the harmonizing duo of Robbie Smith and Kathleen Glauser, whose well-matched voices sound a bit like Simon & Garfunkel if Art was a girl, a bit like Peter, Paul & Mary, if one of the boys was taking the night off, a bit like Gordon Lightfoot or Stan Rogers if they had had a girl harmonizer. Not twins by birth, but twins at heart, they share a sibling like sense of humour and harmony. A $5.00 shipping fee will be charged for orders outside Canada. I’m sure many of you welcome a little seasonal music (though admittedly we sometimes grow weary of hearing the same tunes over and over and cringe at ornamental tackiness). Well, we would like to offer you a change. We have spent this past year writing, arranging, harmonizing and recording a fresh selection of all-original Winter/Christmas songs that we are so excited to share with you. With titles like “When the Carols Began”, “Sing the Winter Away” and “Christmas on the Shrimp Boats” you’ll be hearing a breath of fresh folk air hopefully transporting you through many moods and taking you to many places – from tropical and Maritime sea ports to the frosty northern Klondike. Time travel with us as we go from Renaissance to spritely Cajun to pure folk styles! In both of our hearts we regard this as a once in a lifetime project – with attention to every detail. We’re relaying many positive messages in the lyrics and we hope they will reach you wherever you may be.